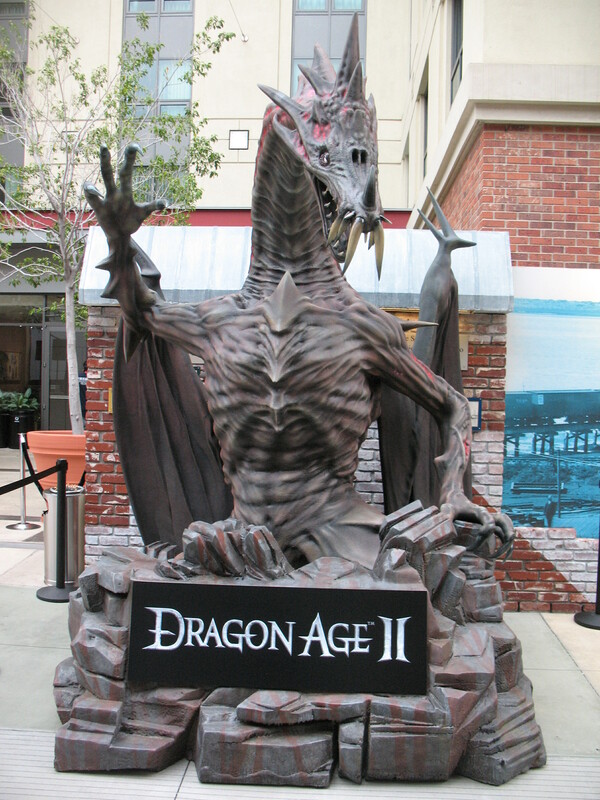 I was really surprised to hear that we were going to be bringing Dragon Age 2 to this year’s San Diego Comic Con. As many of you who follow this blog or read our forums know, I am a huge comic book nerd and love getting to come to SDCC as it is a major event with comics, movies, TV, video games and back issues by the score all in one massive event. I was just surprised that the DA2 team were ready to show stuff to the press. I asked Mike Laidlaw, the Lead Designer for DA2, why we were doing it now and he explained that the whole DA2 team felt that things were stable enough and looked good enough to start to show it off to fans. We’d had the very successful Game Informer issue last month, and now it as time to get out and meet the fans, and the timing with Comic Con worked out great. So yesterday me, Mike Laidlaw, Dan Lazin, Aidan Scanlan, and Bruce Venne flew down to San Diego to start to set up the DA2 Super Sneek Peek. We are once again in the Gaslamp Hilton for the Electronic Arts game experience. This year we share the space with the awesome (yet scary as all get out) Dead Space 2. We spent the day setting up the booth, installing the builds, dealing with “tech problems” (dear hotel guests, we did not mean to trigger that fire alarm. Sorry) and getting everything set up for our first day today. If you are in or around San Diego, you NEED to come down and experience our booth. 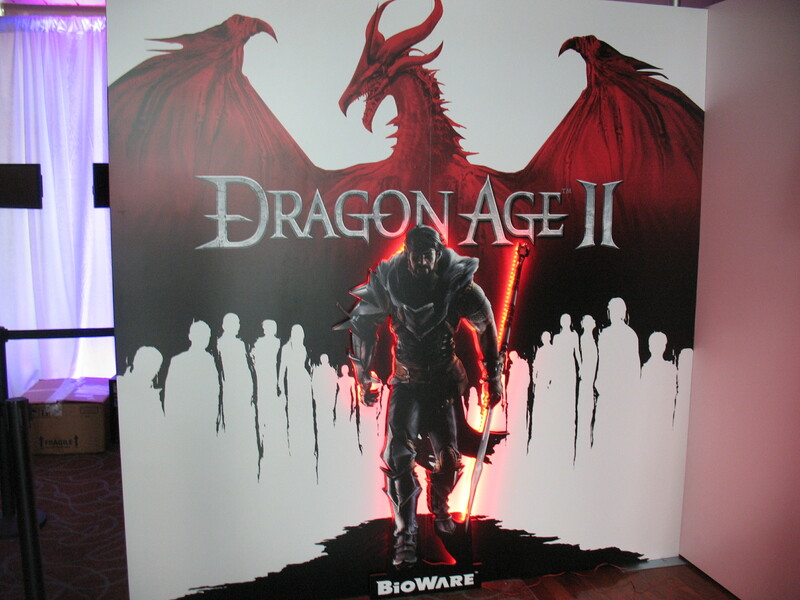 Since we are only 4 hours away from opening the doors I think it is now safe to say, if you come down, you will have your first chance to get your hands on and PLAY Dragon Age 2. We are open from 12-9 Thursday, Friday and Saturday and from 12-7 on Sunday. We hope to see you here. And make sure you say hi to Fang.